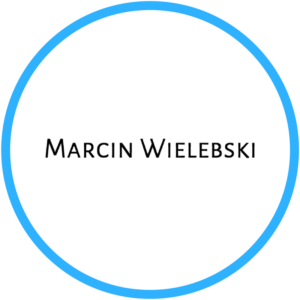 Marcin Wielebski, founder, since 2007 – work in a private sector – Civil Engineering – mainly aluminium and glass constructions. Main duties: purchases, logistics, design, supervision of construction sites, sales, both in Poland and abroad. Since 2013 – own business in the same sector, operating mainly abroad. 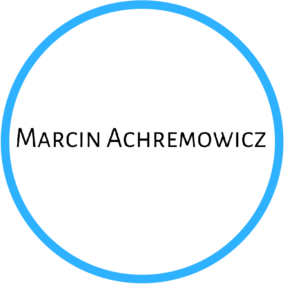 Marcin is responsible for the financial management, Nanores representation and constant evaluation of our business model. M. Eng. Pawel Modrzynski is a researcher and engineer with 7-years of international experience in both scientific and industrial environments. Worked in projects ranging from nanotechnology applications in sensing and telecommunication to green energy R&D in following institutions: CERN (Switzerland), IMEC (Belgium), TEL Solar (Switzerland). Graduated at the Wroclaw University of Science and Technology in Materials Engineering in 2010, PhD candidate at UCL University, London in Photonics. M.A Jakub Gawczyński graduated at Adam Mickiewicz University in Poznan, Faculty of Law and Administration in 2010. During his studies he also pursued his interests in audio-visual technologies. After his graduation it became his main focus. His goal is to apply the interdisciplinary knowledge to improve standards of cooperation between science and business. He has 10 years' experience in b2b relations and occasionally provides legal assistance for NGOs. M. Eng. Piotr Kunicki was born in 1990 in Wrocław, Poland. In 2014 he received the MSc degree from Faculty of Microsystem Electronics and Photonics of Wroclaw University of Science and Technology. His scientific interests are: focused ion and electron beam technologies and analog electronics. Currently he is working at Nanores company as an project engineer and he is PhD student at Wroclaw Univeristy of Science and Technology on NEMS devices fabricated with FIB and SEM technologies. M. Eng. 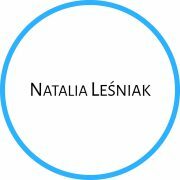 Natalia Leśniak completed her studies in Civil Engineering at Wrocław University of Environmental and Life Sciences. After graduating she worked as a civil engineer in the area of aluminum structures design. At the same time she developed skills in the field of personnel management, financial analysis and company running. Currently she is working at Nanores as an office manager. In her free time she is occupied with crafting and graphic design. M. Eng. 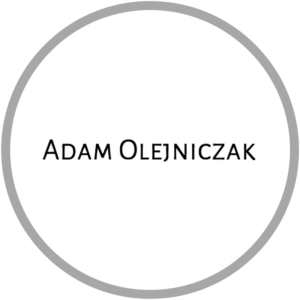 Adam Olejniczak graduated at the Faculty of Fundamental Problems of Technology, Wrocław University of Science and Technology in 2016 and he received the MSc degree in Technical Physics. After graduation he started PhD study at Institute of Low Temperature and Structure Research, Polish Academy of Sciences. He specializes in computational physics in atomic scale, especially in calculations from first principles. His current research interest are optical properties of carbon (nano)structures as well as semiconductor nanostructures with quantum-confinement effect (quantum dots). Privately Adam is training aikido. PhD Eng. Bogusz Stępak graduated at the Faculty of Electronis of Wrocław University of Science and Technology. In 2012, he received master degree in Advanced Applied Electronics. The same year he started doctoral studies at Faculty of Electronics Microsystems and Photonics of Wrocław University of Science and Technology. In 2017 he received his PhD in laser materials processing. Till now he took part in several research projects related to laser technologies and was a laureate of prestigious scholarships and awards from Polish National Research Centre or International Society for Optics and Photonics (SPIE). He continues research on micro- and nanoprocessing of materials by combination of laser and focused ion beam technology. M. Eng. Aneta Zięba was born in 1992 in Wałbrzych, Poland. She graduated at the Faculty of Microsystem Eletronics and Photonics at Wrocław University of Science and Technology specialties Optoelectronics and Fiber Optics, in 2016. Her scientific interests are: fibre optic sensors, photonic structures and focused ion beam and electron beam technologies. Currently she is working at Nanores Company as a specialist technologist. She has started a PhD studies at Wrocław University of Science and Technology, her specialization is electronics. Eng. Marcin Achremowicz graduated Chemistry (Eng) and Bioinformatics (MSc) at the Faculty of Chemistry, Wrocław University of Science and Technology. He specializes in nano-scale simulations, he is also a python programmer. Marcin is interested in molecular dynamics simulations, porous materials, unix systems and software of ARM computers. He would like to start a PhD studies at Wroclaw University of Science and Technology. Eng. 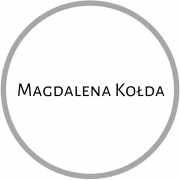 Magdalena Kołda received her degree from Faculty of Fundamental Problems Of Technology at Wroclaw University of Science and Technology (specialised in Biomedical Optics). Since 2018 she is an M. Sc. student in Medicinal Chemistry at Faculty of Chemistry. As an R&D Engineer at Nanores she is in charge of scientific and marketing development of the company. Her main scientific interests are spectroscopic studies (especially using ATR-IR technique) and application of interaction of electromagnetic radiation with matter. She drinks only good quality coffee. M. Eng. Patrycja Nowak graduated at the Faculty of Chemistry at the Wrocław University of Science and Technology in the field of Materials Science. She received the Master's degree in the Advanced Functional Materials specialization. Her scientific interests include the issue of nanotechnology as an application in medicine. Currently, she works at Nanores as a Technician and at the same time is a student at the Wrocław University of Science and Technology in the field of Biotechnology. In her free time she travels and is interested in sports, specifically rugby. Phd Eng. Łukasz Radosiński graduated Applied Mathematics and Solid State Physics of Wrocław University of Science and Technology in Poland in 2004. He received his PhD in Solid State Physics from Graduate University for Advanced Studies (総合研究大学院大学) in Hayama and High Energy Accelerator Research Organization KEK w Tsukuba in Japan. He specializes in predicting properties of materials using molecular modeling. His current research is in the area of photoinduced phase transition in graphene, predicting properties of polymer matrices and designing new drug carriers. In Nanores he runs a project about developing new method of manufacturing of carbon like diamond nanostructures using light and ion beam. He is also an Assistant Professor in Wroclaw University of Technology in Bioprocess and Biomedical Engineering Group. M.A Grzegorz Krzyszczyk graduated in European Studies at Jagiellonian University in Kraków, Faculty of International and Political Studies in 2008. The EU Funds, state aid and fundraising have become his main focuses since his graduation. He was employed in public administration offices for five years. Afterwards, he started to work for NGO's developmental support for over two years. Since January 2016 he has been preparing aplications and accounting grants for SME and innovation & technology projects. M. Eng. Mateusz Gramala graduated Mechatronics at the Faculty of Mechanical Engineering (Eng.) and at the Faculty of Microsystem Electronics and Photonics (MSc), Wrocław University of Science and Technology. He is working at Nanores Company as a specialist technologist and he also participates in mechanical and electronic projects. His scientific interests include the design of analog and digital electronics for AFM and STM microscopes, as well as performing measurements characterizing piezoresistive cantilever used in Scanning Probe Microscope. In his free time he tries to combine mountain trips with long-distance runs.